New technology is available, and it does not replace people; it complements them. Author services companies such as ours are not threatened by the productive tools available (stairs are still available even with the invention of elevators). Listen to Julie-Ann Harper discuss tools and technology for DIY authors on Go Publish Yourself, IngramSpark's self-publishing podcast. There are more and more tools available every year, and some of the tried and tested are still going strong. Over several years my company and team members have purchased, assessed, reviewed, and compiled the most useful resources for DIY indie authors to locate affordable and practical tools for their DIY self-publishing journey. Although we do not own these tools or programs, we have certainly tried and tested them all. Here’s a recap on those we believe are the best of the best in 2019. Note: We would encourage authors to review automation tools carefully, and no matter what service you use—always check using the human touch. Writing is the obvious starting point—notionally, we are all prospective writers! There are some writing tools or services that are generic in nature, and others whose sole purpose is to assist authors make the transition easier from writing to publishing. Joel Friedlander's Book Startup Toolkit is designed to take the doubt out of the creative process. It gives you a roadmap, a strategy, and the exact steps you need to take to get your story out of your head and onto the page. Scrivener is designed by authors for authors. This is one of the best programs you can use to organize your writing. You know that your novel or book is entirely your own. However, using the below tools to check for unintentional plagiarism is a good idea. Grammarly is by far the best plagiarism checker tool available on the market. Plagiarism Checker has free and paid plans to help you detect plagiarism in your book. It has high speeds and accuracy to easily check your book’s authenticity in just a few seconds. Plagium is a quick way to find if content is original or duplicated. No manuscript should reach published form without first being edited by someone other than you. Many self-publishing authors are working with limited budgets and will choose to overlook the editing process, but they do so at their own peril. Don’t ever make the mistake of thinking that your writing is so 'spot on' that you don’t need to edit your book; everyone needs to be edited, and the author who believes he or she is the exception to this rule is usually the most in need. If you want your writing to be taken seriously, you can help ensure that by having it properly edited first. While hiring a professional to edit your book is always recommended, we understand that not every author has the funds to do so. Wattpad is a well-established website for finding beta readers. Scribophile is famous for the detailed and helpful critiques their members' exchange. Beta Reader's Hub is a source blog for beta readers. Editing tools edit a book by working with algorithms that flag potential issues in the text and suggest context-specific corrections for grammar, spelling, and vocabulary. Some tools like Grammarly explain the reasoning behind each correction, so you can make an informed decision about whether, and how, to correct an issue. Grammarly is the world’s leading automated proofreader. It checks for more than 250 types of spelling, grammar, and punctuation errors; it enhances vocabulary usage, and even suggests citations. Grammarly, in our opinion, is definitely the best online tool available. Autocrit is another online manuscript editing tool, enabling fiction writers to quickly and effectively self-edit their work anytime, anywhere. A first-class book needs a high-quality edit: nothing screams 'amateur' louder than improper punctuation or glaring spelling mistakes. A major criticism leveled at self-published literature is that the quality isn’t up to the standard set by the traditional trade. Skilled book editing can radically make over a novel, moving it from the ordinary to the extraordinary. Reedsy is our favorite full service platform as every single freelance editor on Reedsy has been hand-picked. They all have extensive experience and ample portfolios, so this ensures you are working with the best editing professionals worldwide from editing assessment, developmental editors, copy editors to proofreaders. Editors Associations. We have found that by working with your local editors associations you will have your choice of qualified editors as opposed to untrained editors. ORIGINAL: Why right too no edit? Why waist counting ears of my valuable thyme brought a less than perfect manuscript to fruit. CORRECT: Why write to not edit? Why waste countless years of your valuable time bringing a less than perfect manuscript to fruition. When spelt correctly and in context, it’s obvious what I'm saying. Editing tools don't always provide the context or feedback that a human proofreader offers, but they are an excellent tool to improve your writing and then pass to a professional proofreader. Recognizing the reader is the primary art of design. While hiring a cover or interior layout specialist from a professional service provider is always recommended, we understand that not every author has the funds to do so. Your book design matters, and although we’re all cautioned not to determine a book’s worth based on its appearance, initially, we all do, so make sure yours helps your book make a positive first impression. These unique tools make interior book formatting and interior book design achievable for the DIY author. With professional guidance built into these programs, your book will be as close as possible to an experienced designer. The Reedsy Book Editor is a beautiful production tool that takes care of EPUB and print-ready PDF file formatting and conversion, before you’ve even finished writing. Bookow not only formats, but it reduces those errors often found in Word docs. You can choose from various book templates for a professional look. We love the simplicity of this tool; very affordable and great customer service. Pressbooks is a robust, fully featured publishing tool – if you can use WordPress websites and blogs, you can use this platform. It outputs your books to PDF and EPUB and lives in the cloud, so contributors or editors can also work on your book. Professional design takes years to master, but these tools will at least give you a head start to create an effective design from professional platforms. Canva is a free, online graphic design tool and is the simplest design program we’ve encountered that enables you to become a book designer. It contains templates and predesigned drag-and-drop elements in an easy-to-use interface for designers and non-designers alike. DIY Book Covers saves you from having to learn graphic design from scratch. You are able to design the cover you have in mind, if you take the time to familiarise yourself with the actual set up. Making use of this resource is a significantly cheaper option than most. Joel Friedlander's Book Design Templates provide sizing, layout, and aligns all of the important elements of your cover, so you can focus on crafting a great-looking one with your artwork, style, and unique vision. Instructions are easy to follow and creating a perfect cover for your book in Word using book templates has never been easier. Premade covers are ready-made covers that are sold only once and then removed from the website. Some are customisable, others are unique creations, usually made from several images combined. Premade covers are affordable and are an exciting way for authors to self-publish books. SelfPubBookCovers are ready to customize and download instantly and are available in all genres, all styles, and from hundreds of professional artists. The Book Cover Designer has over 14,000 covers in their database. Killer Covers has a great reputation working with indie authors—they know the importance of a killer cover. There are many other ‘premade’ cover companies now on the internet. Check their terms before payment, and double check if the file is available for a printed cover—many only offer it for an ebook cover, which will not help you if you wish to have a printed copy. If you want to hire a cover or interior designer, consider crowdsourcing sites. Simply name your price, post your project, and then watch as graphic designers bid on your job. Low risk, as you are guaranteed satisfaction. If you don’t love your book cover design, then you get your money back. 99Designs is a means to find and work with talented freelance designers online. Design Crowd boasts the perfect custom design, every time. CrowdSPRING is an online marketplace for crowdsourced creative services. Our Pickawoowoo Publishing Group book cover and format professionals spent years honing their craft, as any good specialists does, yet we understand the issues independent authors face be it time, money, control and the like. As mentioned earlier, we recommend that you never rely solely on technology. Technology over technique can produce commonplace design and cannot develop a relationship with your reader. Get feedback from professionals and your prospective readers...take time to design well. "If you fail to plan, you plan to fail." This analogy has been employed across various industries. I would go one step further and say, "If you fail to plan, you plan to pay too much." No planning causes unnecessary mistakes which in turn cost far more in publishing than publishing itself. While each step of the overall publishing process is important, making sure every piece forms a successful whole is vital. Here are a few ways to help you keep the publishing process under control. How to Self-Publish is a free online self-publishing course offered by IngramSpark. It helps you learn more about your publishing options, breaks down the costs to self-publish a book, and gives you the keys to get started on your journey to publish like a pro. Joel Friendlander’s Publishing Business in a Box is a toolkit that helps indie authors figure out the business aspects of publishing, covering everything from what to name your business to releasing your inner entrepreneurial spirit. BookPlanner creates a customized action plan for your book publishing process, helping you stay on track as you get your book ready to publish. Keywords are some of the most important parts to publishing your book. This metadata is imperative for the internet to effectively search and discover your book to present it to readers who are looking for it. Simple keyword decisions can result in hundreds of additional visitors, which equates to more sales. The following tools are ones my company has used to optimize books for success. KDP Rocket is the best tool I’ve come across yet. It is invaluable in the selection of keywords and checking out the competition for your book. Author Checkpoint helps you find keywords for any book on Amazon too. A house is not built in a day, nor is a book. There are many steps involved in the book publishing process that take time and the right effort. Plan, plan, plan. Book marketing tools should be part of your comprehensive marketing plan. Time doesn’t permit me to go into the intricacies of book marketing in too much detail here, suffice to say that if you want to be successful then book marketing is imperative, not optional. Here are a few suggestions to help you manage your book promotion. How to Build an Author Platform is IngramSpark's free online self‑publishing course, and will help you learn how to find your book’s audience and connect with your readers. You can’t market properly without having an understanding of your audience first. How you position the messaging around your book is determined by your audience’s interests and needs. The Alliance for Independent Authors is a professional body with an overview about marketing and promoting your books, from online bookstore algorithms to live launches and everything in between. The video presentations help significantly to explore your options. Social Media Marketing for Self-Publishers is another one of IngramSpark's free online self‑publishing courses, and will help you develop a social media marketing strategy that promotes your book and author platform. Hootsuite helps you manage your social media marketing across several platforms from one tool. Schedule posts for when you can’t actively be on your social media platforms, see who has mentioned you or shared one of your posts, and much more. The best part is that the most basic level of Hootsuite’s service (which does pretty much everything you would need) is completely free. Sign up, play around with it, and see if you like it. Kirkus Indie produces professional, unbiased book reviews for self-publishers from one of the most prestigious magazines in publishing. Traditional publishers, librarians, and booksellers hold Kirkus in very high regard, so it’s great that there’s an indie version as well. Aerio (which is currently only available in the US) gives self-publishers an unprecedented range of direct retailing and social marketing capabilities. Established as a direct-to-consumer solution, self-publishing writers can offer their ebooks and print books to customers directly from their websites or through their social media. You can build your own independent platform of readers and realize real income directly from your own publishing efforts. The beauty of technology is that it helps you craft, finalize, publish, print, and distribute your book. Book publishing and self-publishing is a business, and when time and budget are limited, it’s helpful for independent publishers to enlist technology and industry experts for help. Check out IngramSpark's list of recommended experts who offer discounts to IngramSpark customers! This post was updated on 3/21/2019. It was originally published on 10/27/2016. Julie-Ann Harper is the founder of the Pick-a-WooWoo Publishing Group. She has 25 years of experience in publishing, business training, self-publishing workshops and presentations. 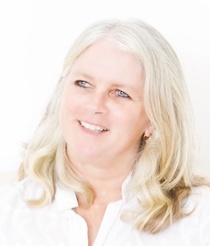 Julie-Ann is a passionate advocate towards true self-publishing and helping authors to view publishing as a business. With 15 awards in the area of publishing and business she truly walks her talk and is willing to share her knowledge with as many authors as possible, particularly when it comes to self-publishing. She is the co-author of 47 educational titles, two self-published titles, author of five children’s picture books and two traditionally published titles (McGraw Hill).